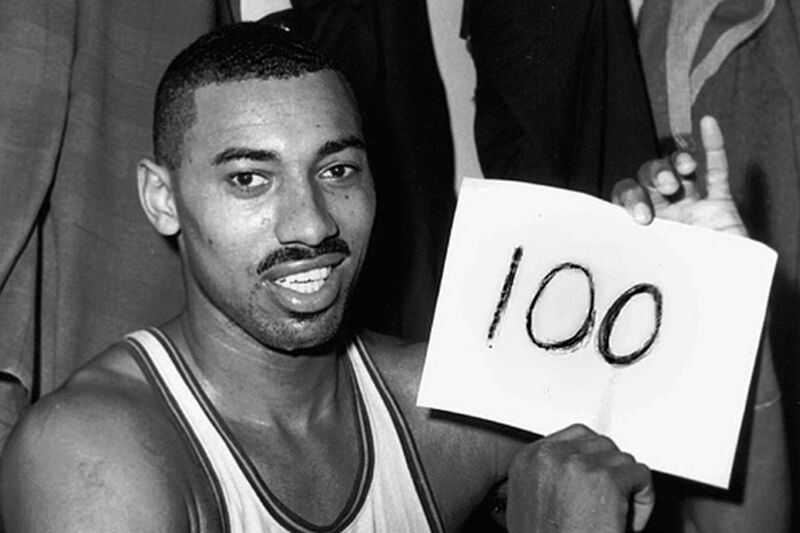 A scoresheet from Wilt Chamberlain’s 100-point game will be auctioned. But which scoresheet is it? More memorabilia from Wilt Chamberlain's famous 100-point game has emerged, this time in the form of a scoresheet. Nearly 57 years later, like treasure from a long-sunken Spanish galleon, another artifact from Wilt Chamberlain’s historic 100-point game has bobbed to the surface. A scoresheet from the Philadelphia Warriors’ 167-149 win over the New York Knicks on March 2, 1962, in Hershey, Pa., will be sold in an online auction set to commence on April 10. The sale will be conducted by SCP Auctions of Laguna Niguel, Cal. Brendan Wells, a principal in that firm, said Tuesday that another scoresheet from that game, one kept by the Knicks’ radio statistician, sold for more than $100,000 several years ago. The single sheet of yellow paper, autographed by Chamberlain, originally belonged to Toby DeLuca, a longtime statistician for Philadelphia-area TV and radio broadcasters, who that night kept the numbers for WCAU-AM’s Bill Campbell. But as with the last publicly auctioned relic from that game -- a ball whose seller claimed was in use when the Philadelphia center’s point total hit 100 – there are questions. On its website, SCP advertises the relic as “the official scorer’s sheet,” even though it details only points and personal fouls for the 19 players who saw action in the game. In 1999, the ball Chamberlain allegedly used for his final basket was initially auctioned to an anonymous collector for $551,844. According to Kerry Ryman, the Pennsylvania man who sold it, he took it during the on-court chaos that followed the legendary center’s history-making basket. But after Harvey Pollack told the Inquirer the actual ball had been taken out of play by a Warriors official, the auction house voided the sale. Re-auctioned in 2000, it brought $67,791. The scoresheet currently belongs to Steve Smith, a former Delaware County resident who befriended DeLuca. Smith, a basketball fanatic then, said that not long after his father died he was keeping score for his Our Lady of Fatima grade-school team during a 1970 game they played before a Lakers-76ers exhibition at the Spectrum. That’s when he met DeLuca, who was married and whose only child, a son, had passed away. After DeLuca’s death at 91, his widow summoned Smith to her Springfield home and told him her husband had wanted him to take whatever memorabilia he desired.